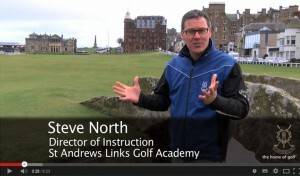 The 2014 Father & Son Tournament proved a very special family affair for the Pinckneys from the USA at St Andrews Links. 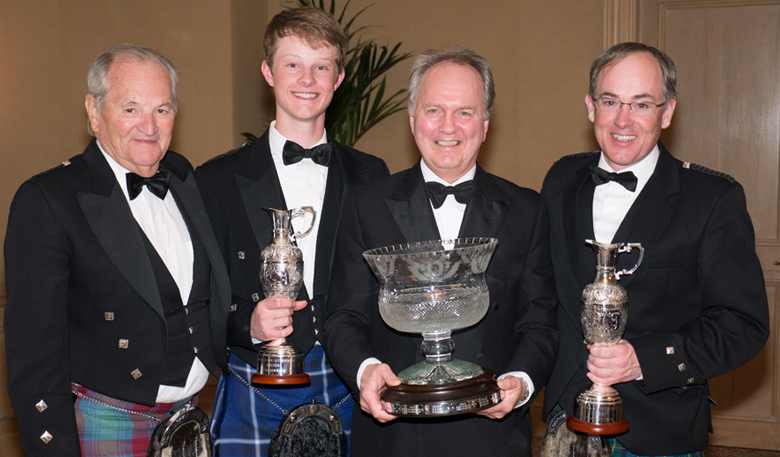 After three rounds of championship golf Doug Pinckney Jnr and his son, Doug Pinckney III, from Syracuse, NY, USA received their prize from St Andrews Links Chief Executive Euan Loudon (pictured) at the prizegiving dinner at the Old Course Hotel. Victory in the tournament is always a special occasion for the winners, especially given the family ties on show, however the Pinckneys were blessed with three generations with grandfather, Doug Pinckney Snr, making the trip across the Atlantic to follow his son and grandson on their round each day. 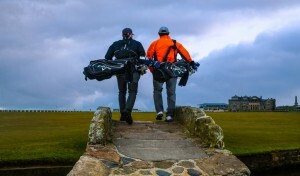 This year’s tournament saw second place go to Australian pair, Geoff and Darcy Collinson, while the defending champions, Tom and John Cleary, from Ireland, finished third. Picture shows Euan Loudon (presenting trophy) with, from left to right, Doug Snr, Doug III and Doug Jnr.